Environmental conditions change considerably in the course of 24 h with respect to abiotic factors and intra- and interspecific interactions. These changes result in limited time windows of opportunity for animal activities and, hence, the question of when to do what is subject to fitness maximisation. 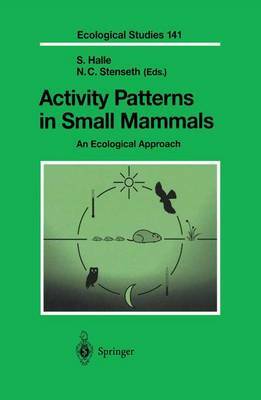 This volume gives a current overview of theoretical considerations and empirical findings of activity patterns in small mammals, a group in which the energetic and ecological constraints are particularly severe and the diversity of activity patterns is particularly high. Following a comparative ecological approach, for the first time activity timing is consequently treated in terms of behavioural and evolutionary ecology, providing the conceptual framework for chronoecology as a new subdiscipline within behavioural ecology. An extensive Appendix gives an introduction to methods of activity modelling and to tools for statistical pattern analysis.